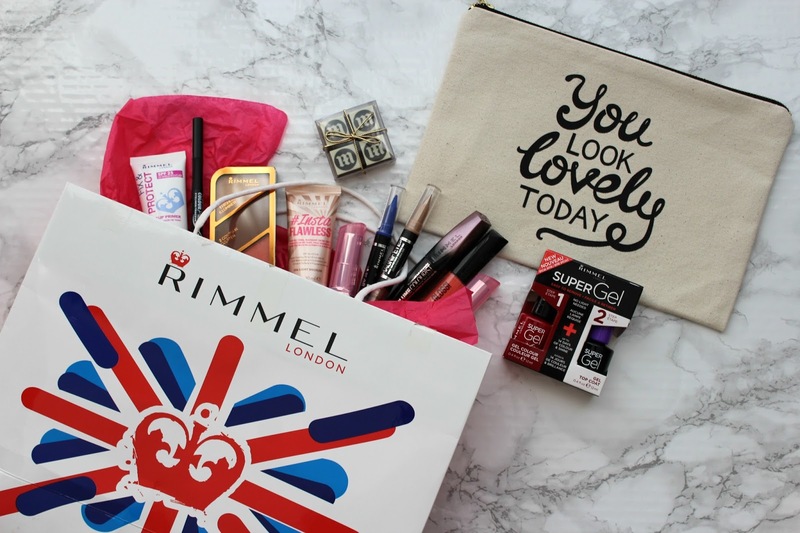 Rimmel x Daily Mail Goody Bag! 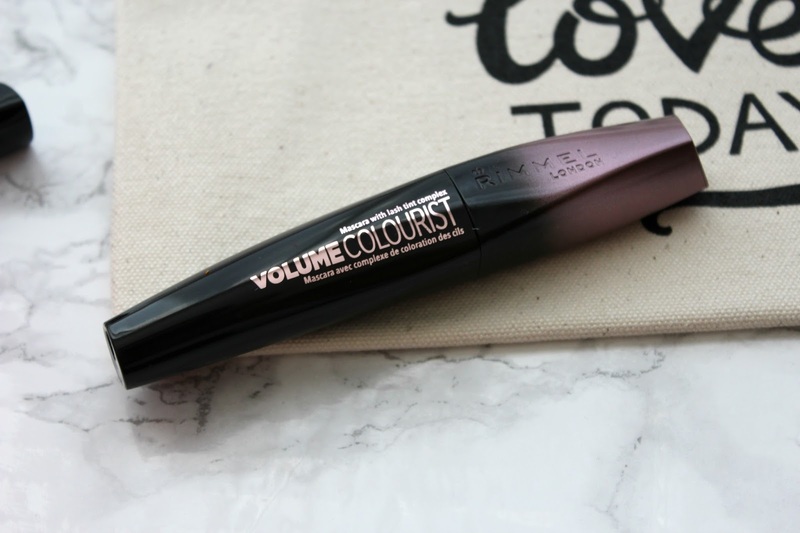 When I went to the Mail Online studios a few weeks ago with Rimmel for the Volume Colourist mascara trial that I had been working on, we left with the most amazing goody bags, and it was something that I desperately wanted to share with you all. 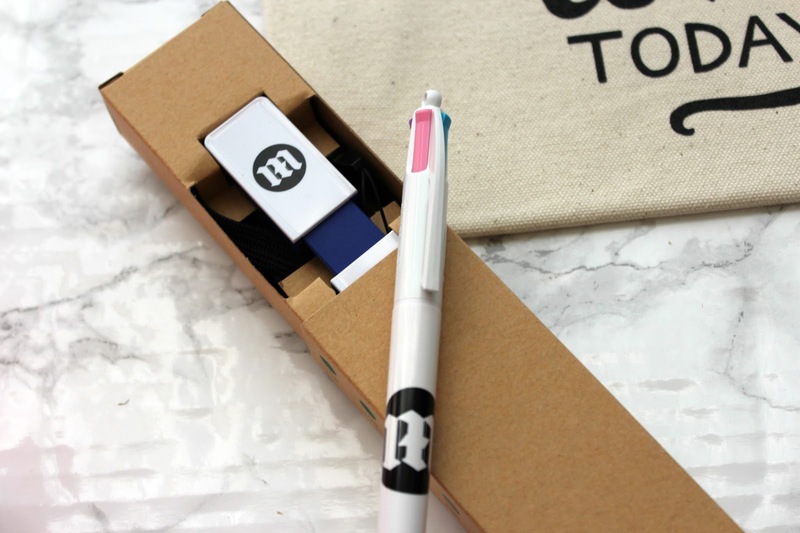 There’s nothing I personally love more than having a snoop at bloggers hauls and a peek inside goody bags (thank god for snapchat!). 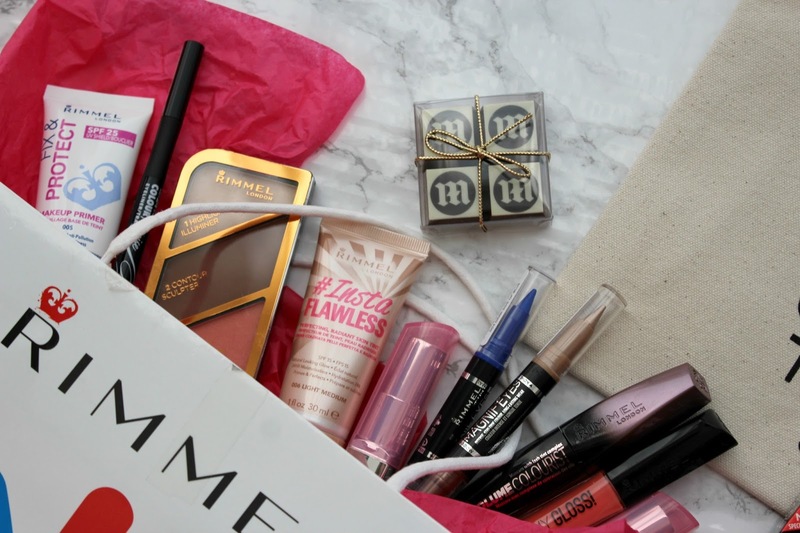 This was the goody bag to outshine all goody bags, it was a cross between Rimmel goodies and some branded Mail products that I’ll always been able to treasure and look back on with excitement. I know you’re all dying for a peek inside, so lets get to it! The branded Rimmel bag was filled to the brim with stuff and I couldn’t wait to have a peek inside. Does anyone else save it until they get home and then pour the contents out onto a bed to have a proper look?! 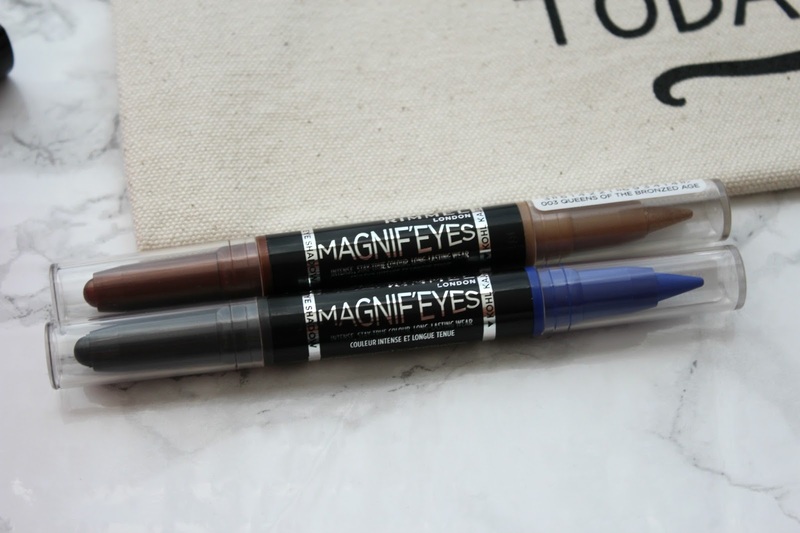 Available in 3 different shades, the Rimmel Magnif’ eyes double ended shadow & liner is going to become my summer staple this year. My favourite is the gold/copper coloured one as this is the main type of colour I go for on my eyes, the two colours look amazing together and it makes creating a smokey eye look super easy. Again, this product is so perfect for travelling as it doesn’t take up much room. Did I mention that they’re also waterproof, crease proof and transfer proof? Amazing! 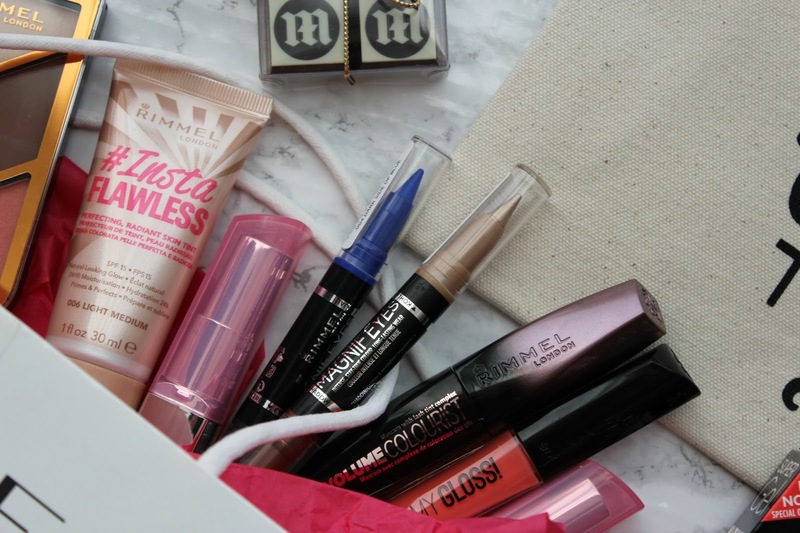 The main reason for getting this insane goody bag was for the 6 week trial that I took part in testing out the new Rimmel Volume Colourist mascara, which claims to tint your lashes over time. Another summer staple for my bag, it’s so easy to remove and gives your lashes a dramatic look in just one coat. Make sure you check out my initial review of this mascara to see whether it really did tint my lashes over time. A girl can never have too many primers right? 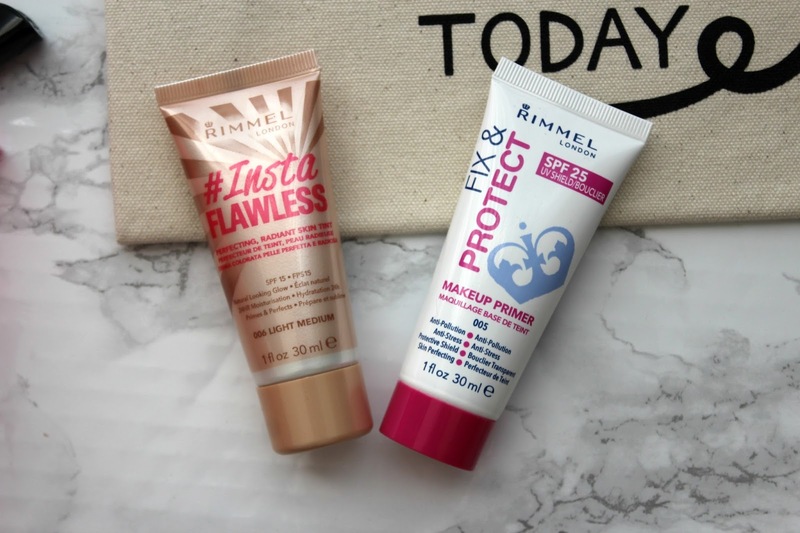 I’ve been a big lover of Benefit’s and Too Faced primers so I’m looking forward to giving these two a try. The first is their #InstaFlawless (I already love it from the name), which provides a glowing base for underneath your makeup or it can be worn by itself for a really natural look, it’s also SPF15 which is great for holidays. The Fix and Protect is a more all rounder primer which works to combat lots of problem areas to give you the best base possible for underneath your makeup. I’ll have to let you know how I get on with these! 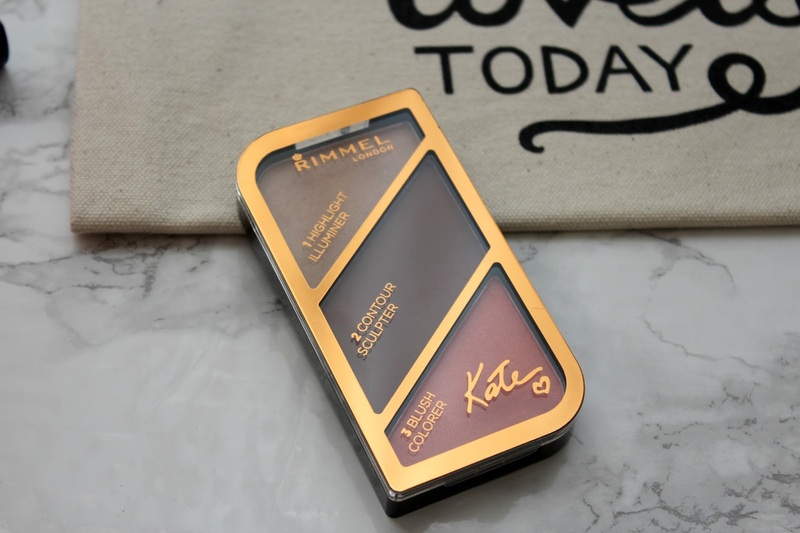 Another fairly new release from Rimmel is the Kate Moss sculpting palette, I’m such a fan of contouring but end up having to use about 5 different products to create the look so this little palette is going to be ideal for travelling. 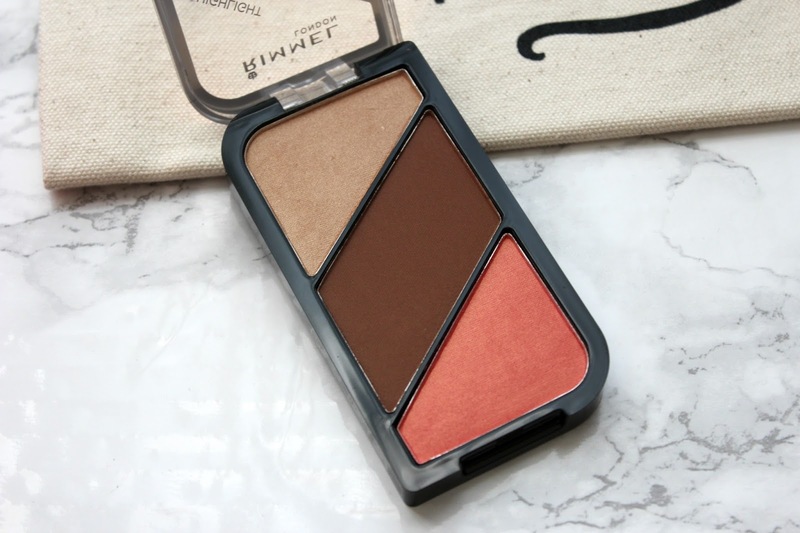 It includes a highlighter, bronzer and blush, I’ve only tried the bronzer so far but really like the colour of it and finish it achieves on my skin. It’s highly pigmented so it’s a must have for any bronze loving babes. I’m such a simple Sally when it comes to lips, I just love my nudes and pale pink colours so I definitely need to try and be a bit more adventurous. 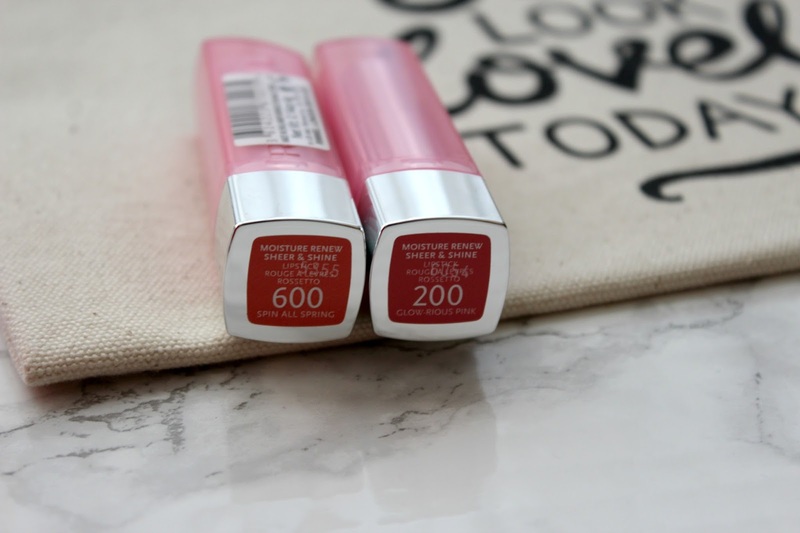 These two are part of the Moisture Renew Sheer and Shine range, they’re quite bright berry/coral shades which are nice summer shades, because of their formula it means that it won’t show your dry or cracked lips beneath them. 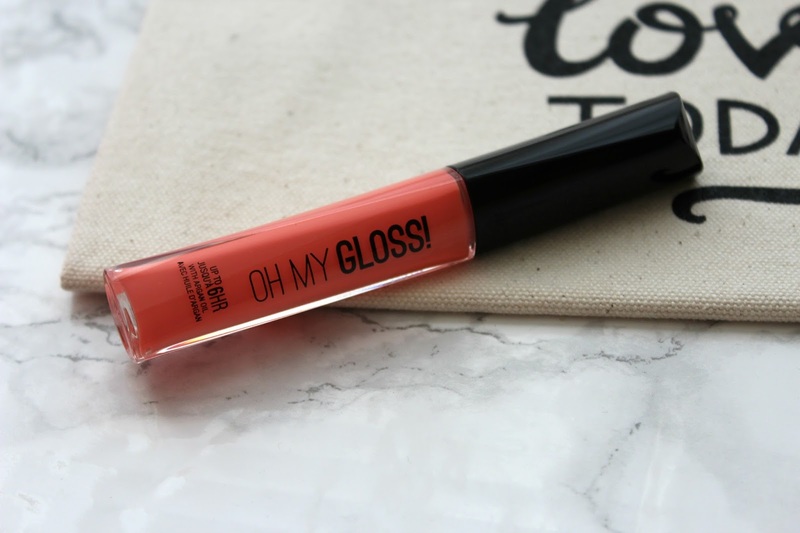 Lip glosses are definitely not just a teenage thing, although I’ve not worn one in years because I got fed up of my hair sticking to the gloss, there really isn’t anything more annoying! I see lip glosses as such an easy thing to use in the summer though, and again it’s a plus that they don’t make your lips look dry or flaky too. This is a really bright colour for me so I’m going to have to be brave trying this one out! 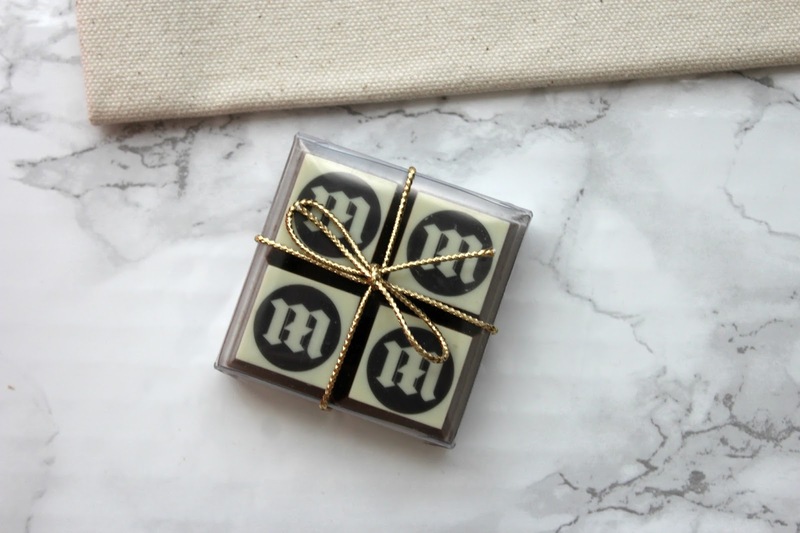 These sweet Mail Online branded chocolates sadly didn’t last long, they were filled with delicious salted caramel, they literally couldn’t have tasted any better! 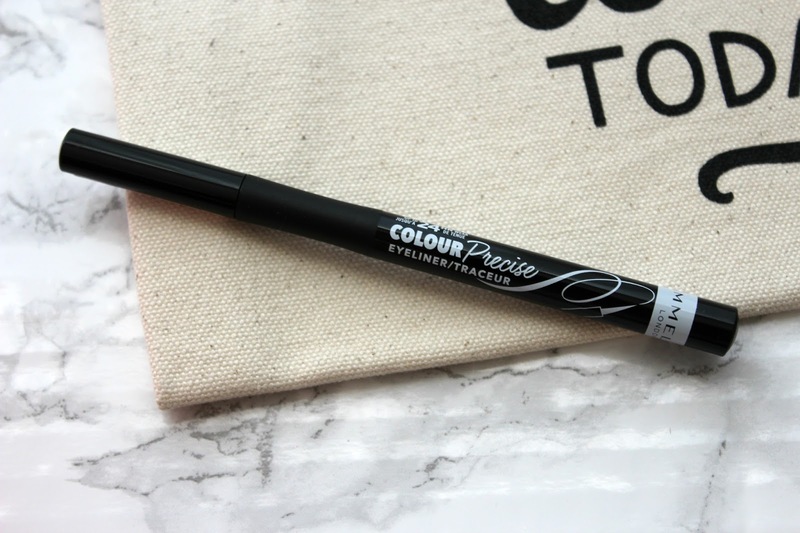 I’m still a newbie when it comes to perfecting that cat eye liner flick, but I’ve found that the pen type liners are the easiest to use, I’m seriously going to have to up my game with this Precise Eye Liner. One can never have enough notebooks, as I travel a lot on the train I usually hand write blog posts to then type up when I’m home. 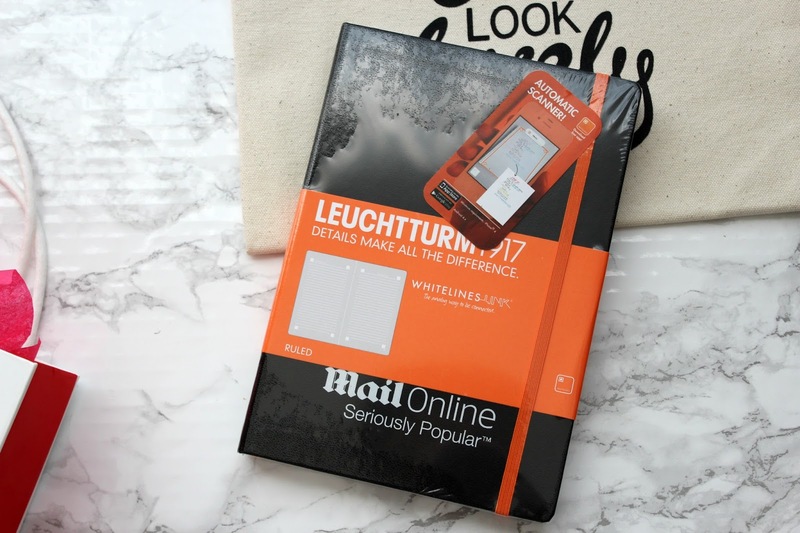 I’ve taken this Daily Mail branded notebook under my wing and classed it as my new ‘blogging book’, how could I not when it’s so cool! Like notebooks, you can never have too many branded or slogany mugs. 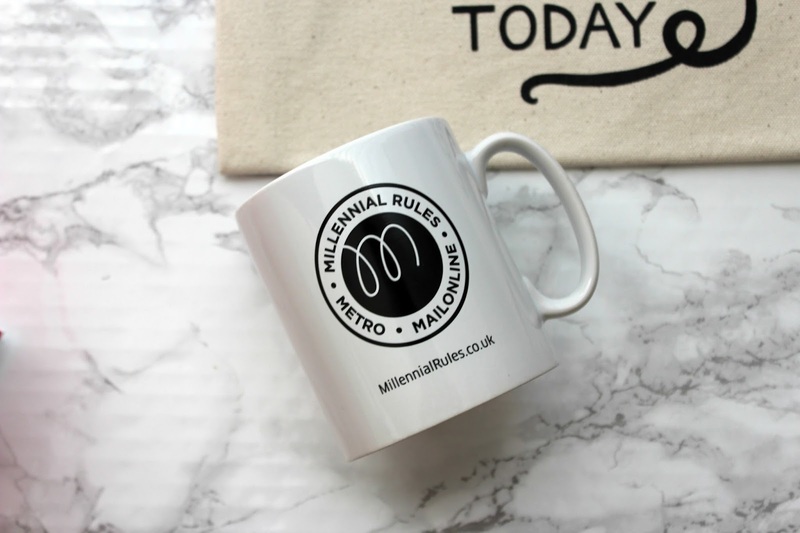 I probably won’t even use this mug, it will be a gentle reminder of the amazing time I had filming at The Mail online. 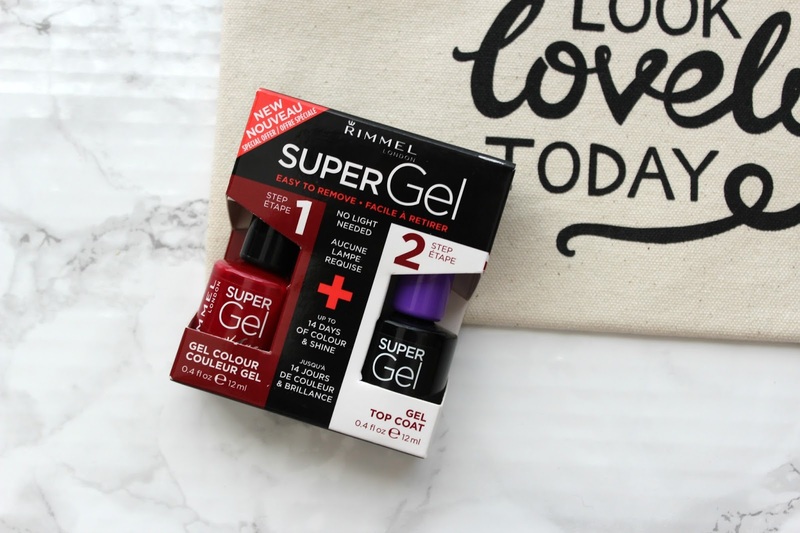 Last up was another amazing product from Rimmel, I didn’t even know that a product like this existed to create your own gel nails without the use of a machine. I’ve never had gel nails done before, but always love how glossy and long lasting other peoples are. I think I’ll test this out on my holidays so I don’t have to worry about chipped nails or having to repaint them whilst I’m away! So that’s how The Mail Online and Rimmel do goody bags – I still can’t believe their generosity and how amazing the whole experience was, I will hopefully have a link to share with you soon to see the finished piece, I can’t wait! 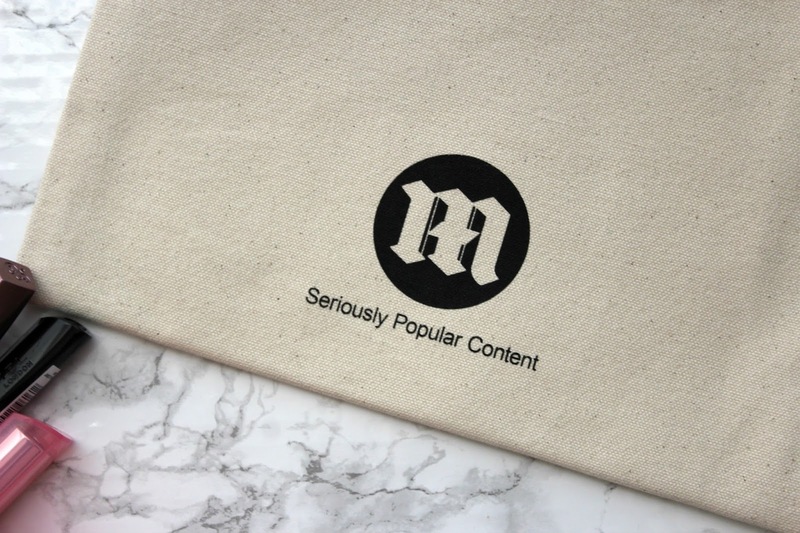 What do you think of the goody bag? Can you spot anything you’ve tried before? 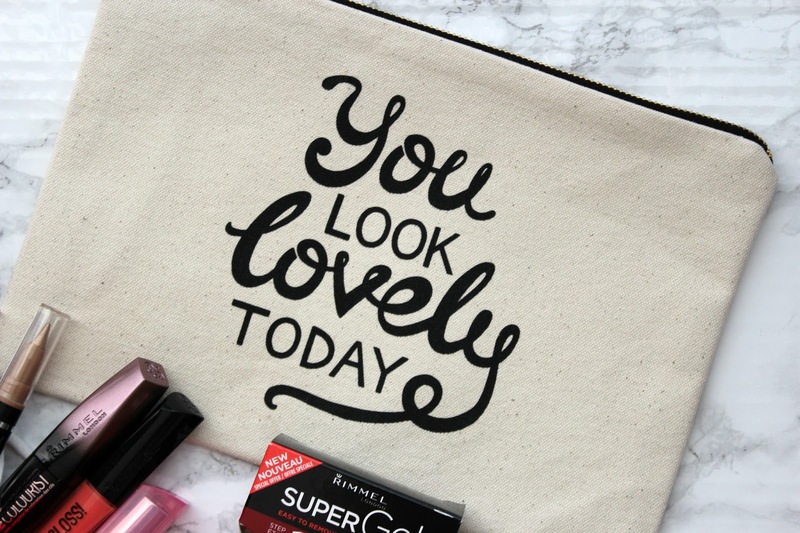 Do you have any favourite makeup products from Rimmel?